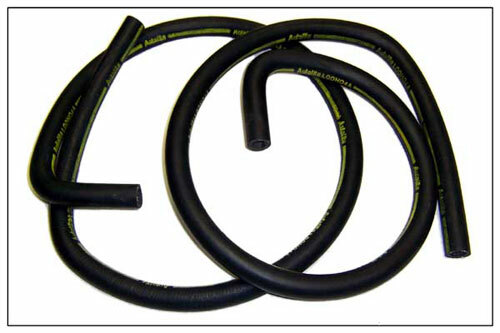 These hoses feature a 90 degree bend like the original for a correct layout in your 1971 Mustang's engine compartment with factory Air Conditioning. This set has a continuous yellow stripe broken up by the Autolite trademark. The hoses are not striped to look perfect, they are striped to look authentic.